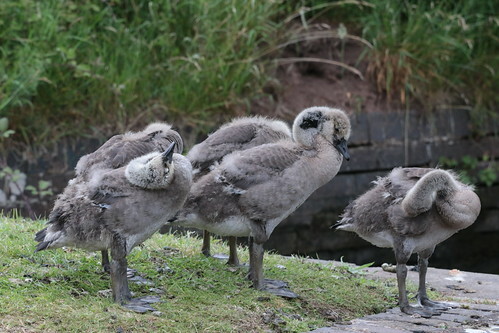 Since the news has been even more of a dumpster fire than usual this week, what with MPs shooting themselves in the foot over a meaningful Brexit vote and the worldwide ill-treatment of refugees, I bring you a post consisting entirely of fluffy gosling photos. 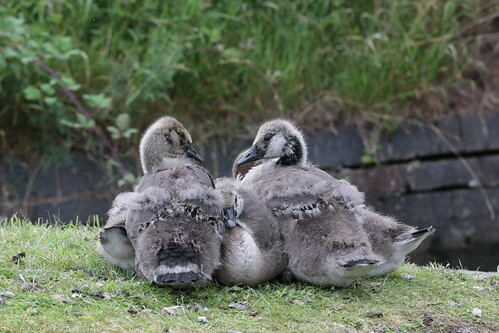 Cuddle party with watchful mum. This entry was originally posted at https://nanila.dreamwidth.org/1165930.html. The titration count is at .0 pKa. Yep, definitely better than politics! So much fluff! And just about everything is better than politics at the moment, ugh. Oh wow I can't even follow the news these days. 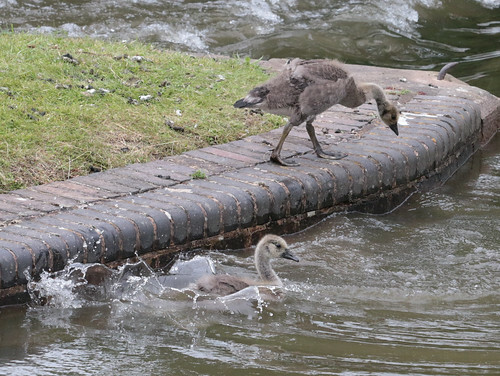 Fluffy goslings for everyone. I have very rigidly defined limits around how much time I spend absorbing the news and through which media. I have my apps which bring me the news (Economist Espresso, Guardian Roundup, BBC) in 5-10 minute bite-sized reads. I quit Twitter and rarely look at Facebook. It helps a lot to maintain the ability to actually do something constructive when I do read the news, like make donations to the appropriate organisations, or write a letter to my MP. But yes. 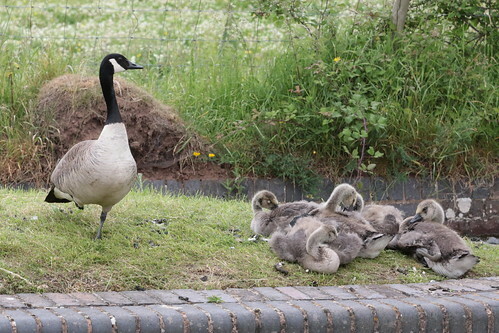 Definitely fluffy goslings for all. Very much so. And getting visibly bigger by the day!